Great Eastern Medical School & Hospital is located in the Temple town of Srikakulam, famous for the Surya Bhagvan Temple and soothing climate. Srikakulam Town, district headquarters of the Srikakulam Dist., is situated at the north-eastern tip of Andhra Pradesh which happens to be an actively developoing area in the coastal region. 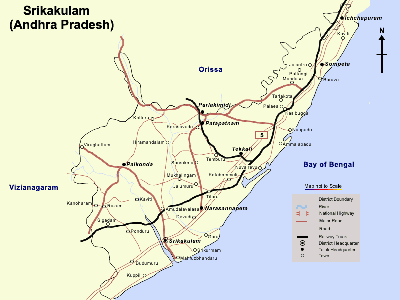 The town is well connected by road and rail with Chennai – Kolkota Highway (NH-5) and Rail routes passing right through. Nearest airport (Visakhapatnam – VTZ) is 100 km away.